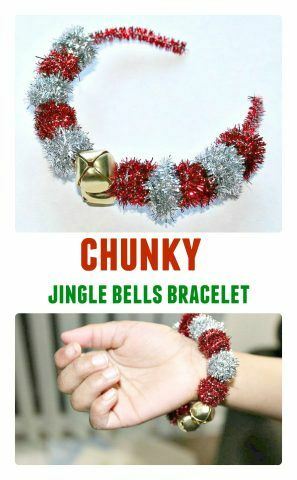 You know we love Christmas crafts with jingle bells. 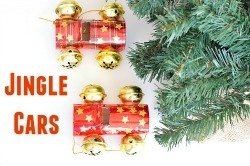 We have used those fun supplies in plenty of crafts and the recent one being our cute and easy Jingle Bells Car ornament. 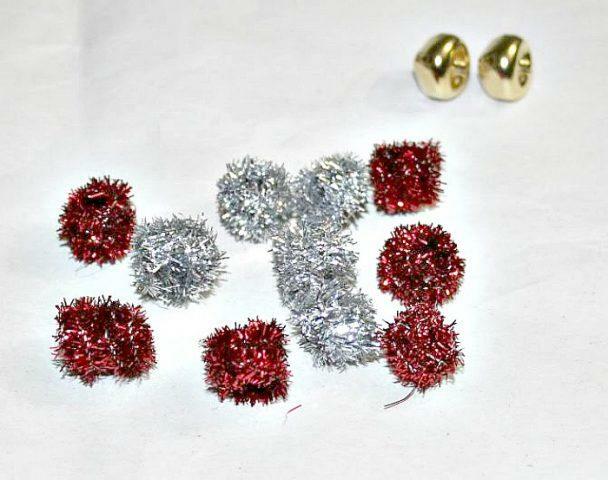 Today I welcome Dhiyana from Sparkling Buds to share a cute kids craft using pipe cleaners and jingle bells. 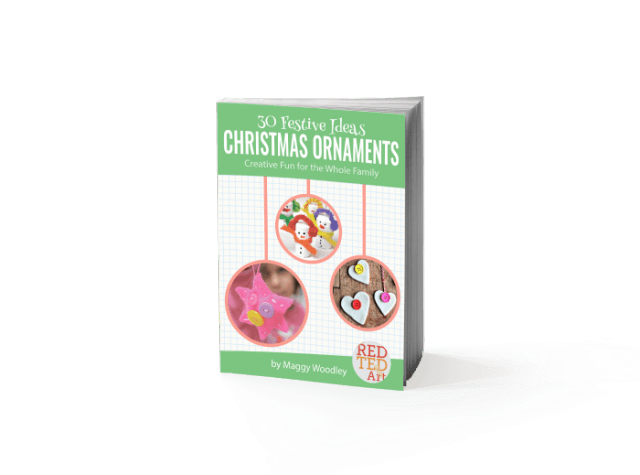 She shares easy kids crafts, art projects and printables on her site. Please do check out her recent Christmas Wreath printing art project – such a clever idea. Hello all, I am happy to meet you all in Kids Play Box. I am here to share a simple craft which made my daughter happy. 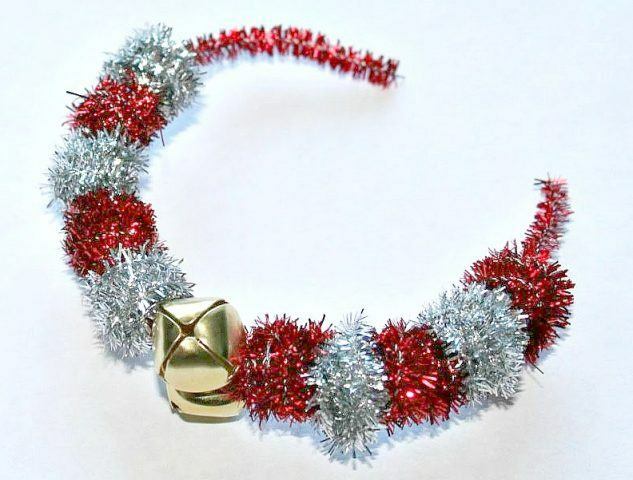 When she was at her preschool, I made her this beautiful bracelet out of pipe cleaner. I surprised her when she came home. She was so happy and she was wearing the entire day. So I believe your beloved ones too will love this beautiful pipe cleaner beads bracelet like how my daughter did. 1. Start rolling the pipe cleaner around the pencil. 2. 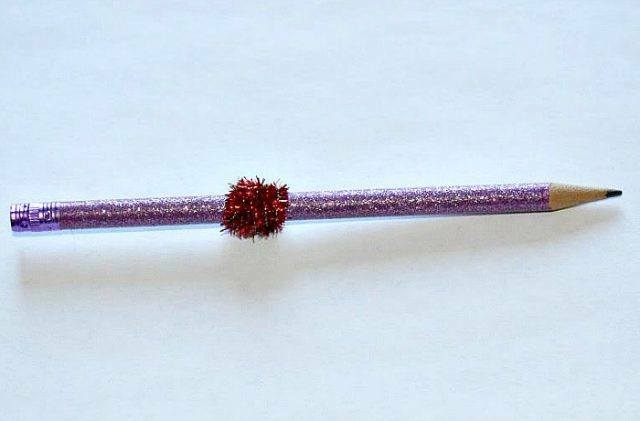 Remove the rolled pipe cleaner from the pencil. Slightly roll it with your fingers to maintain its round shape. Please make sure there is no sharp edge of pipe cleaner projecting out. 3. Continue Step 2 for all beads. 4. I made pipe cleaner beads in white and red color. Cut another pipe cleaner slightly larger than the length required for the bracelet. Start beading the beads. In between I added two bells to make it a little more festive. 5. After desired size is reached, join both the ends of the pipe cleaner. Again, please check that there is no sharp edge projecting out. The beautiful pipe cleaner beads bracelet is done! My daughter loved the bracelet. It literally took me 5 minutes to make this. It is a simple gift idea that can be done in no time. Hope you enjoyed reading the post. Pin this for your reference. More Christmas Crafts and activities here. 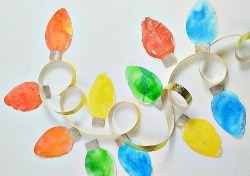 Want a simple way to make homemade ornaments? Click on the image and purchase and download the book and get CRAFTING with your family.